Spend some time on Google and discussion forums in your niche to find some dofollow blogs and blogs that have Top Commentors widget available. Once you have that list, start sharing your knowledge on the topics of your interest in the comments section. This is the first step that you have to take once you are finished off with designing and development of your website. Submit your website home and product pages in popular search engines and web directories. Submitting your website into web directories and search engines will help you get some initial backlinks with faster indexing of your website contents. Create a strong presence for your company on some of popular social bookmarking websites like Digg, Delicious, Google Buzz, Yahoo Buzz, Mixx etc by submitting some interesting stories from your website on these networks. But don’t spam these networks by submitting lots of stories from your website at a time. Try to be more social (Sharing others stories, voting, commenting etc) on these networks to get maximum benefits. Make a list of some active blogs in your niche in general and if you are targeting specific demographics, go for blogs created in that region as well. Contact these bloggers and when some of them show interest in accepting your guest post, send them your best content for review. 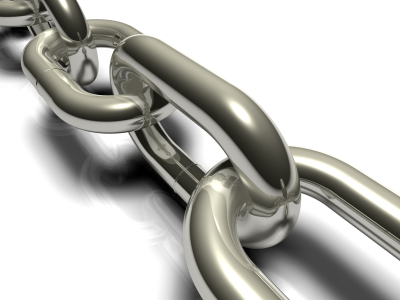 You can expect 1-3 high quality backlinks for a well-written content in the form of guest post when it gets published. Guest posting is one of very few ways you build relationship with popular bloggers and their audience in your niche. So guest blogging is going to help you in many ways. Create a twitter profile for your website and start sharing some of stories from your website with other interesting stories found around the web. And create a fan page for your website on Facebook and start sharing some of your website stories there. Write some high quality articles around the keywords you want to get high rankings for on Google and other major search engines like Yahoo and Bing. And submit those articles in 4-5 most popular high PR Ezine publishing websites like Ezinearticles.com, Buzzle.com, Goarticles.com, Americanchronicle.com, Amazines.com, etc. Create news type content about your company or website latest updates, developments or achievements and submit them on press release publishing websites. Share some of your articles in the form of word document, pdf and presentation with backlinks to your website on some of popular document sharing websites like Docstoc, Slideshare and Scribd.com. Spend some time in discussion forums to share your knowledge base about the topic of your choice. If you are running a SEO Services company, discussion forums like Digital Point, SitePoint, SeoChat, V7N etc will be the ideal choice for you. You will receive lots of targeted backlinks from these discussion forums in Signature sections with quality traffic. Am I missing a link building technique, that you are currently employing on your website, please share in the comments section below so that other members in the community can also get benefit from it.